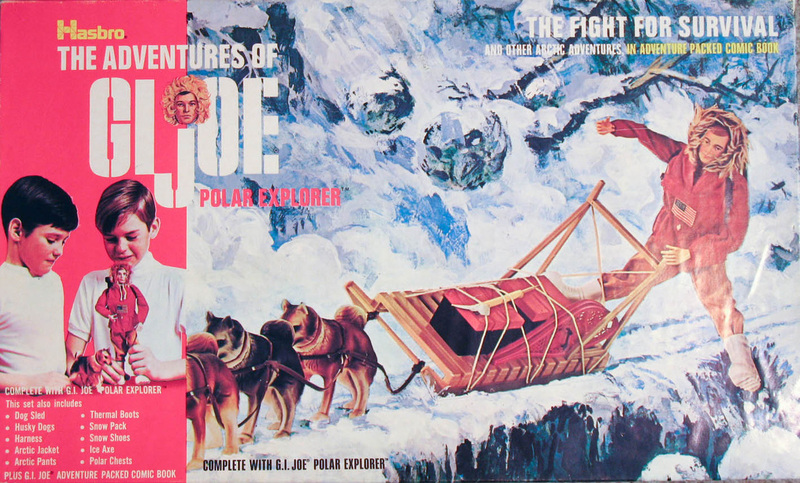 On a mission to carry supplies to an arctic research team GI Joe is trapped by an avalanche! Will his canine companions dig him out in time to save the researchers? One of the top sets in the line, The Fight for Survival (7982) offers lots of play possibilities, along with a great outfit that features a fur bordered hood. This super clean box set still has sealed contents. Note that the figure included has unpainted rivets, a feature that would characterize post 1970 figures. 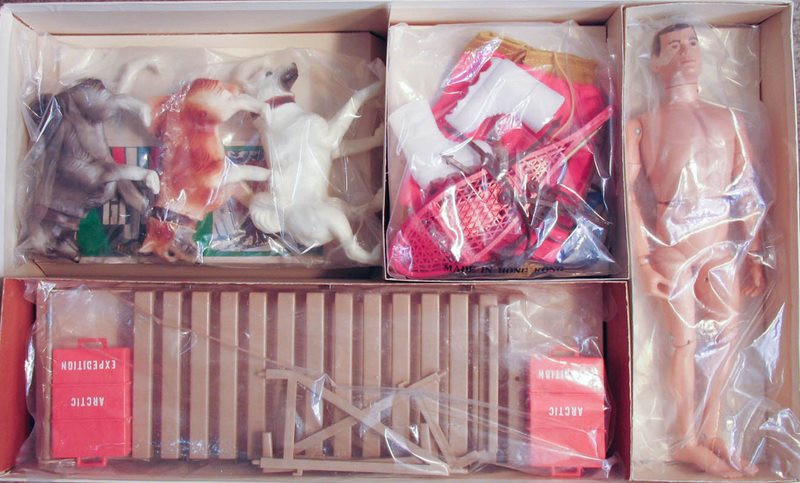 The box was also available without the GI Joe figure. 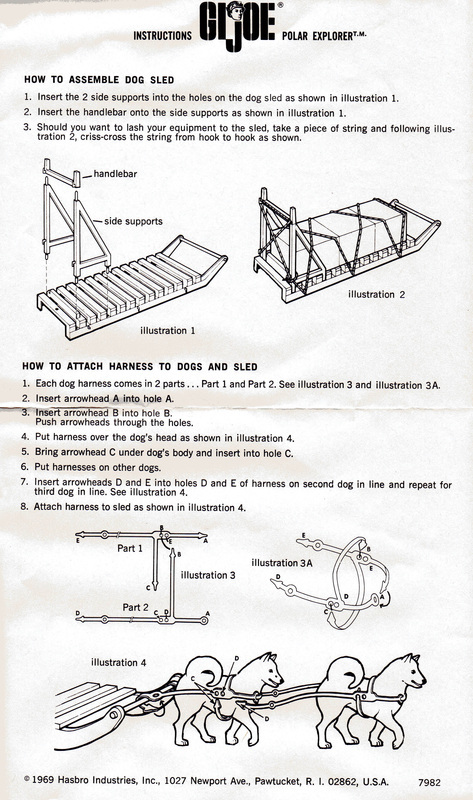 Three dogs were included in this version of the set. The most common colors were white, chestnut, and grey. The burnt umber shade, second from the left above, is less common.